Romantic travel destinations are a fantastic way to get back to the place you love to be. Around the world there are naturally romantic locations because of the landscape or the people. Yet, some of the most unique travel destinations for romance are those that are simple, quiet and allow you to be you. Depending on what you and your significant other would like to do, see or travel to, will determine where to look. Destinations can be any location in the world that somehow brings you both together for some time spent alone. Consider some adult vacation spots based on the type of trip you would like to take. Couples looking for a simple weekend away may wish to consider a bed and breakfast within a few hours' drive from your home. Those looking for adventures can find a number of locations both within the country and abroad for hiking, cycling, or even a safari. The excitement can do so much for your relationship. Exotic travel locations may take you to Africa, the Galapagos Islands, India or a small Caribbean Island. Expect unique cultures, interesting food and plenty of amazing sceneries. Sometimes, you don't care so much the type of destination as you do the location. Finding the right destination for romance may happen after you consider a few special places. From exotic getaways to country living, there are many locations dotting the globe worth exploring with someone you care. Anantara Resort and Spa, Thailand: There are several resorts under the Anantara name to consider, but perhaps the best is Si Kao Resort] located just an hour from Krabi's airport. It offers a private beach, right on the Andaman Sea, a decadent spa and dining facilities and is a sanctuary for the soul. 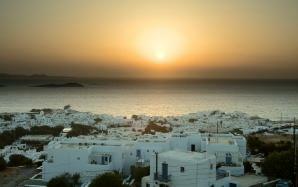 Mykonos Theoxenia Hotel, Greece: Located in Mykonos, the Mykonos Theoxenia Resort is right on the blue water. Trek through the cobblestoned steps in the city to a very unique, 60's inspired Greek hotel. It futures a health club, a pool, dining and much more. Palmentto Bluff, South Carolina: Perhaps you wish to stay stateside. The Inn at Palmetto Bluff may make the perfect stay. This golf and spa resort is located on the May River in South Carolina Lowcountry. This is a peaceful retreat, perfect virtually any time of the year. The sunsets are an amazing finale after a great meal. 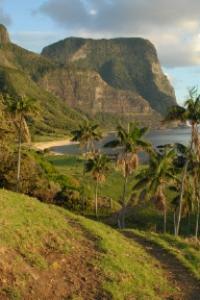 Capella Lodge, Australia: Exotic beauty is found at the Capella Lodge on Lord Howe Island, Australia. Here, you have the ocean butting up against the mountains. The resort offers luxury amenities, a spa, and excellent Australian inspired meals. Capofaro, Italy: Located in Salvina, the Capofaro, Salvina resort is an astonishing beauty. You are located on the Mediterranean island nestled into the vineyards. There are just 13 rooms housed within the cottages dotting the vineyards. At night, have dinner outdoors, on the deck looking towards the neighboring island of Stromboli, where you will see the volcano throw sparks into the night sky. House of Jasmines, Argentina: For those looking for a more laid back, ranch like atmosphere, the House of Jasmines located in Salta, Argentina may offer just that. Here, you can get lost in the scent of roses wafting up to your bedroom, tour the 120-year-old ranch owned by Robert Duvall, and enjoy a fantastic meal watching the sky. As you look for the perfect romantic travel destinations, consider some of the world's most sought after big cities. Have dinner watching the sunset, tour the city's past, and experience an ultra modern nightlife. These cities are top romantic locations in the world. When visiting any of these locations, ask for special romantic accommodations including penthouse suites and honeymoon suites. You can book luxury accommodations and meals at top locations throughout these cities.